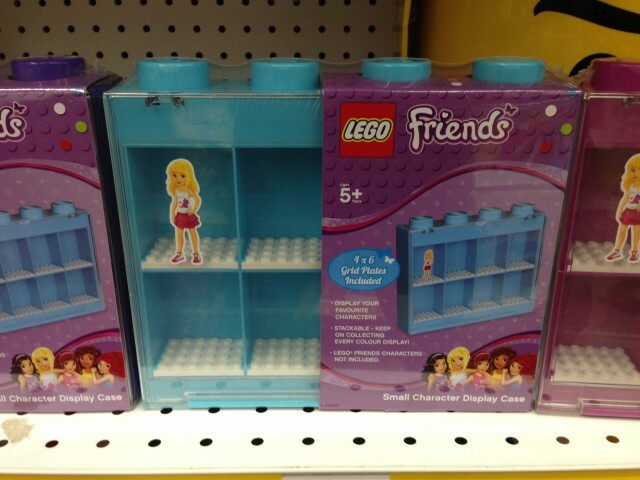 I saw these sitting on the shelf at a Toys’R’Us store the other day. 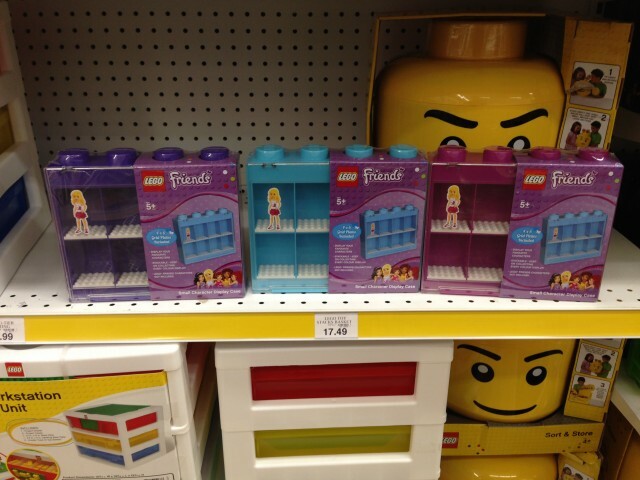 They are the exact same size and dimension as the other half-sized LEGO minifigure display cases but just in prettier colors: purple, light blue, and a plum red. They don’t come with a figure, just a sticker of Stephanie to represent what it would look like with a minidoll inside. Each case holds 8 figures and according to the sticker on the shelf will run you $17.49. I haven’t been able to find them anywhere else in a store or online either. If you do happen to find them at a Toys’R’Us, they are running a promotion right now where if you buy one case, you get a second one at 40% off. Now’s the time to stock up! These would make a great gift for the Friends fanatic that has every set. Give them a display case or two to organize their minidolls! This entry was posted in News and tagged Display Case by memphis. Bookmark the permalink. Back of the display case shows a green color. Anyone seen the green?